When you’re riding on a high from a very fruitful fishing trip, it can be easy to forget to take care of your reel. But, while you’re out celebrating your success with friends, your reel is starting to take on damage. 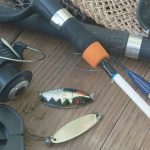 Part of being a good angler is having the determination to religiously maintain your tackle, including your fishing reel. Here are some of my tips to help you get started looking after your reel so it will last for years to come. The first thing you must do is to take your reel apart. It can look very complicated, especially for a beginner, but you’ll easily adopt a ritual of sorts after a few tries. If you find that a part of your reel isn’t coming off effortlessly, it’s important not to force it. You may damage your reel or injure yourself in the process. 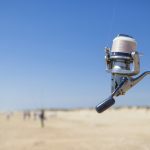 A lot of fishing reels have smaller parts – like wire clips or springs – that you can’t really handle using just your bare hands. A good tip is to invest in a pair of quality tweezers to help do the job. Make sure you set aside a separate pair of tweezers for this. You can’t effectively clean the nooks and crannies of your reel if you don’t take it apart. And while this task may seem daunting at first, you can get through it with a little planning and proper handling. First of all, you must make sure you have a good right-hand grip on your reel when you disassemble and reassemble it. When you take it apart, take a sequential approach. Set down the components of your reel in the order you removed them. That way, you’ll have a good guide for reassembly. 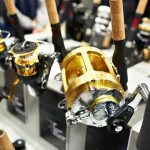 Fishing reels are fashioned in such a way that metal parts won’t come into contact with the other metal parts. There’s always a part made of fibre that goes against the metal. If that’s the way experts intended the reels to be, who are you to go against it? Of course, no good reel maintenance routine can be without proper cleaning. It’s a smart idea to spray fresh soapy water lightly on your reel, especially after using it in saltwater. 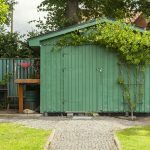 Don’t use a hose to clean it – the water pressure may be too strong – unless your hose has a feature that can switch to spray. Sometimes, simple freshwater won’t do the trick. If your fishing reel is too dirty or greasy, it’s best to use mild alcohol, like rubbing or isopropyl alcohol, to clean it off. Make sure you apply it with cotton swabs or a toothbrush. Don’t use alcohol that’s too harsh because it may have an adverse effect on your reel. Contrary to what some rookies may think, fishing reels actually need a dab of grease. However, don’t go overboard with it. Too much grease can seriously put a damper on your casting distance. When it comes to greasing your reel, a little goes a long way. 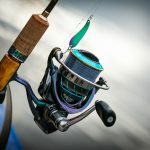 Well, there you go – a few simple tips on reel maintenance that can help you get started. Of course, there are other things you can do to take things a step further. 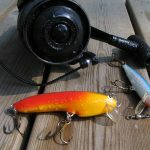 For now, you must take these seven pointers and keep them in mind the next time you maintain your fishing tackle. Before you know it, you’ll be an expert in the craft.